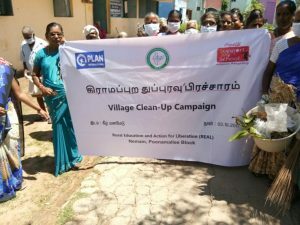 Sankari, aged 40 years, lives in Keezhpettai Village in Villupuram District, Tamil Nadu, with her husband Rajamani and their two children, a 20 year old son and 16 year old daughter. 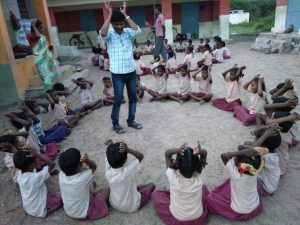 They belong to the most backward class and were facing poverty. 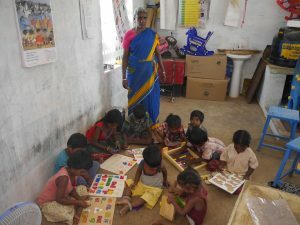 The meager income of Rs.2500 from sale of fire wood had been not even sufficient for a single square meals a day for the four and were unable to spent on their children education. 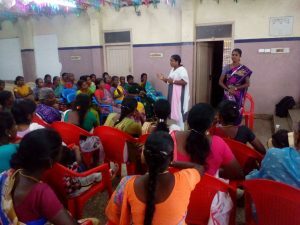 Sankari, a member of “Vanamey Ellai” SHG involved in thrift savings and also tried to supplement her husband’s income by involving in IGP activities. 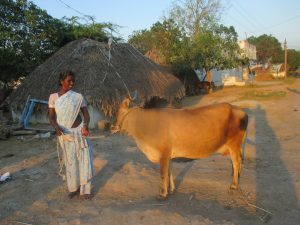 She purchased a milch animal (cow) and started to involve in milk business. 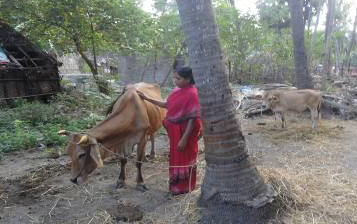 The steady flow of income from the sale of milk enables Sankari to manage her families needs and also the dream of constructing a safe house with basic facilities gained momentum. 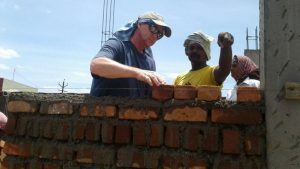 Since 25 years, they had been struggled to live in the small thatched house with no basic facilities including toilet. 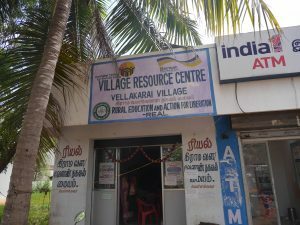 The thatched house did not have a kitchen, living room, study hall for the children and separate pooja room and so everything happened in the same hall. Moreover, the house was also not conducive for the stay of relatives at times of need. 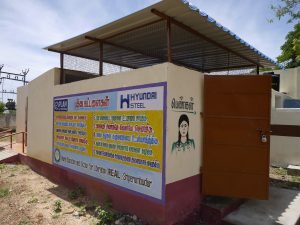 Hence, she adopted to utilize the housing scheme through REAL’s support and started to construct her dream home for the family through loans and of her savings earned through selling of milk. 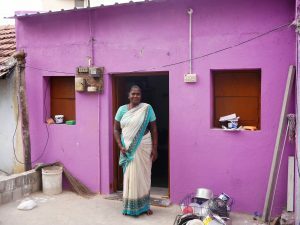 The family and her children were happy to see the progress of the home. 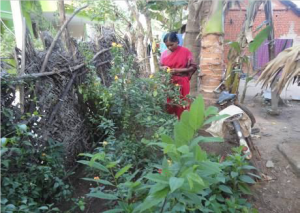 Even before the completion of the house construction, our children had started kitchen garden and planted tree saplings around the house for the healthy and clean environment.